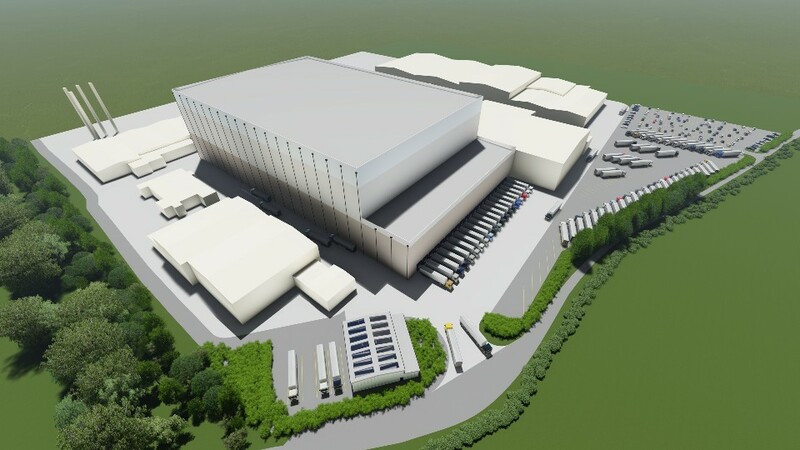 A multi-million pound-state-of-the-art cold store is to be built at Easton following planning approval by South Kesteven District Council. The new facility will create around 300 jobs, including warehousing, engineering and apprenticeship opportunities, worth almost £7m annually to the local economy. Wider economic benefits including supply chains could amount to a further £16m a year. The council has moved quickly to facilitate the determination of the application from industrial development specialists iSec in order secure the investment in the site, operated by XPO Logistics. It will serve the needs of McCain Foods, a key XPO client which shares the Easton site and has other premises within Peterborough and surrounding areas. Capital costs of materials, labour and support functions for the main building work and the specialist fit-out is expected to top £67million and the two-year construction phase is likely to see 230 workers on site. "We are absolutely delighted to confirm this major investment in South Kesteven" said Cllr Helen Goral, Cabinet member for Growth and Communications. "It sums up our determination to realise the growth potential within our district. "XPO is already a significant employer in the district and we welcome the prospect of a further 300 jobs. "It also illustrates how the council can maintain and support an existing business, and use our location and accessibility to key routes such as the A1 to enable SKDC to compete with other areas and attract investment." Sophie Watkin, Planning Director for iSec, said: "iSec has worked closely with the council and the local community to reach this important milestone for the project. It is expected to take two years to build the store, with capacity for 60,000 pallets at minus 28 degrees centigrade and sited where four warehouses were lost to fire in 2013. It will be finished in three shades of grey to reduce the massing of the building and its landscape effects. The full application covers an office block demolition, erection of a new 23,648sqm warehouse, plant room; vehicle maintenance unit, fuel island, vehicle wash area, alterations to vehicular access, internal access road, ccar park extension, and associated landscaping. The new building will enable XPO Logistics to modernise its existing operations through new technology and automation, better parking arrangements and improved access to prevent vehicles backing up onto Burton Lane - due to be widened. A new signage scheme for Easton will be created as one of the planning approval conditions, as well as a skills, training and education plan for XPO staff. Picture caption: A computer generated image of how the new facility will look.